The Midwest Division again featured one of the fiercest battles for the division crown, with both Erie and London fighting until the last day of the season for the top spot. While Erie won the battle, it was London who would get their revenge en route to winning the OHL championship, and then the Memorial Cup. The division again looks to feature those teams at the top, but don’t sleep on the steady development of the Owen Sound Attack. While they more likely will compete with Kitchener for the third spot in the division, they are a team that put a scare into the Knights in the playoffs, and deserve your attention. WHAT WE KNOW: Scoring shouldn’t be a problem for the Otters, with 50-goal man Alex DeBrincat returning alongside Taylor Raddysh, Kyle Maksimovich, Kyle Petit and Ivan Lodnia, who had a 39-point rookie season. The defence should be strong as well, with Darren Raddysh, TJ Fergus and NHL draftee Jordan Sambrook. Essentially, Erie will feature a team that won’t likely have the top end ability of years past, but still has a strong balanced roster. WHAT WE DON’T KNOW: The Otters could end up having that top end ability if Dylan Strome returns, but that’s unlikely at this point. The status of defenceman Erik Cernak is also in question. Troy Timpano and Jake Lawr both have solid pedigree in net, but neither has really put up the numbers one would expect from a starting goaltender at this point. PLAYERS TO WATCH: Alex DeBrincat is one of the most dynamic scorers in the OHL, regardless of who his centre is. Ivan Lodnia showed tons of skill in his rookie season and seems primed for a breakout. Import pick Gera Poddubnyi has been getting buzz as a player who might surprise this season. Troy Timpano has been getting shelled in Sudbury for a while, it will be interesting how he plays with a better defence in front of him. WHO’S GONE: The Otters figure to lose many key parts from last season’s team, including star forward Dylan Strome, top defenceman Travis Dermott and starting goalie Devin Williams. Also graduating were key depth players Nick Betz and Jake Marchment. EXPECTATIONS: While not as strong a roster as they have fielded in years past, the Otters head into the year with plenty of things to be excited about. Based on the strength of their returning players and the potential breakout candidates in their forward corps, look for Erie to again be one of the better teams in the Western Conference. WHAT WE KNOW: The Storm are going to be a pain to play against. While they aren’t loaded with skill, they have a scrappy team that won’t make things easy for opponents. In net, Liam Herbst will provide a veteran presence; while Garrett McFadden and Noah Carroll form a solid enough top pairing. 1st overall pick Ryan Merkley will have free reign to activate the offence from the back end. WHAT WE DON’T KNOW: After last season, it’s clear that the Storm have a long way to go. The team lacks top end talent, and other than Givani Smith and James McEwan, it’s hard to see where the goals might come from. While Herbst has experience, he’s never carried the load as a number one goalie, and is backed up by a rookie. PLAYERS TO WATCH: Top pick Merkley is one of the most exciting defencemen to come to the OHL. While he may struggle in his own end until he puts on some weight, the slick skater can single handedly start a rush. Smith can be a bowling ball on the ice, and has the hands to cash in amongst the chaos. WHO’S GONE: Only three players graduated from Guelph, with overagers Michael Giugovaz, Jacob Harris and Marc Stevens graduating. EXPECTATIONS: While Guelph will be in tough to avoid the bottom of the Western Conference, They should be able to field a more competitive team than last season, and at the very least will be hard for teams to play against. WHAT WE KNOW: There is still plenty of talent in Kitchener. Adam Mascherin and potentially Jeremy Bracco lead a forward corps that didn’t lose too many key pieces. The defence could be a strength, with Frank Hora, Dylan Di Perna and Connor Hall returning, especially if Eiljah Roberts takes the expected next step in his development. Dawson Carty and Luke Opilka proved to be a formidable tandem when bothe were healthy, although Opilka will miss the start of the year. WHAT WE DON’T KNOW: Ryan MacInnis leaves a gigantic hole in the line-up. He did so many different things for this team that it’s worth keeping an eye on how Kitchener responds without him. If Roberts doesn’t have the expected breakout, it leaves Kitchener a little shy on puck movers from the back end. PLAYERS TO WATCH: Mascherin is a dynamic scorer who demands attention. It is his team now, and Kitchener only goes as far as he can take them. As mentioned earlier, Roberts could breakout as a dynamic puck mover. Greg Meireles had five points in a seven game audition last season, He could be the guy who replaces a lot of the scoring that was lost if everything breaks right. WHO’S GONE: MacInnis is a big loss, both figuratively and literally. His combination of scoring and defence will be hard to replace. Dmitrii Sergeev and Miles Liberati were both excellent OHL defenders, and while the Rangers can fill their line-up spots from within, they leave the backend lacking a true standout. EXPECTATIONS: Kitchener is in a good spot heading into 2016-17. They still have plenty of forward depth, something that was their calling card last year, and the defencemen are proven performers. If Opilka can come back 100% and pair up with Carty, goaltending won’t be an issue either. While Kitchener isn’t due for a jump in the standings, don’t expect them to drop much either. WHAT WE KNOW: Despite a bunch of graduations, the Knights again look to be the favourite in the Midwest Division. The offence should still be dynamic, with Cliff Pu stepping into a bigger role alongside Max Jones and newcomer Janne Kuokkanen. The defence returns Victor Mete, Brandon Crawley and Evan Bouchard, who impressed as a 16-year old last season. In net, Tyler Parsons is an early front-runner for goaltender of the year. WHAT WE DON’T KNOW: Depending on NHL camps, this might not even be close to the Knights final roster, as they await decisions on Mitch Marner, Matt Tkachuk, Olli Juolevi and Chris Martenet. The centre depth is worth keeping an eye on, as the Knights will be looking for contributions from rookies. The goaltending is suspect after Parsons. PLAYERS TO WATCH: Kuokkanen will be interesting to watch after being picked in the 2nd round of this past NHL Draft. Jones can be an impact player on offence if he can play a little more under control. Sophmores Bouchard and Robert Thomas looked good last season in limited roles; they could both be considered breakout talents. WHO’S GONE: With Christian Dvorak and Aaron Berisha graduating, and with Marner and Tkachuk potentially joining them, the Knights could lose 166 goals from last year’s team. Throw in Juolevi and Martenet, and there’s quite a substantial chunk missing off of last year’s squad. EXPECTATIONS: The Knights again look like favourites in the Midwest. The scary part for the rest of the division is how much better they could get after NHL camps. Even if none of those players come back, the Knights have the talent to again challenge for an OHL title. WHAT WE KNOW: Just like last year, this is a very young team, but many of them now have a year under their belts. This will also be a hard team to play against, just based on how gritty they were last year. Goalie Michael McNiven gives them a chance in every game. The top pairing of Santino Centorame and Thomas Schemitsch is as good as any in the OHL, and the rest of the defence isn’t shabby either. The forwards return most of their major pieces. WHAT WE DON’T KNOW: While there is certainly a ton of potential among the forward corps, how much of that will result in actual production? The youngsters will again be asked to lead the way, and they’ll need to step up if Owen Sound wants to leap in the standings. PLAYERS TO WATCH: Nick Suzuki was excellent as a rookie for the Attack last year, and will likely jump into a top line spot after spending some time there last year. Petrus Palmu can be dynamic, and will look to break the point-per-game barrier. Centorame was often the best player on the ice for the Attack last season. WHO’S GONE: Leading scorer Bryson Cianfrone has graduated, along with Josh Sterk. The Attack will also lose Damir Sharipzyanov to graduation; he was often on the top pairing for the Attack. EXPECTATIONS: After a transition year, that was still a very good season, the perception is that while the Attack made great progress, they aren’t really a threat. The reality is that while they may not get home ice, this will not be a team that anyone wants to see in the playoffs, and they aren’t as far away from being a finished product as some might think. 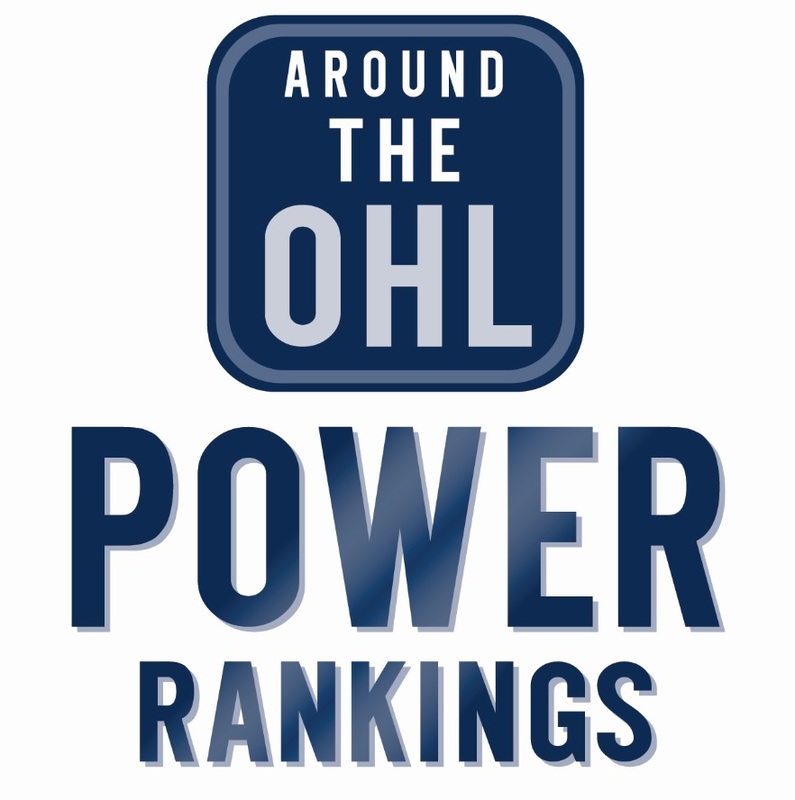 Tags: Erie Otters, Guelph Storm, Kitchener Rangers, London Knights, Midwest Division, OHL Previews, Owen Sound Attack. Bookmark the permalink.